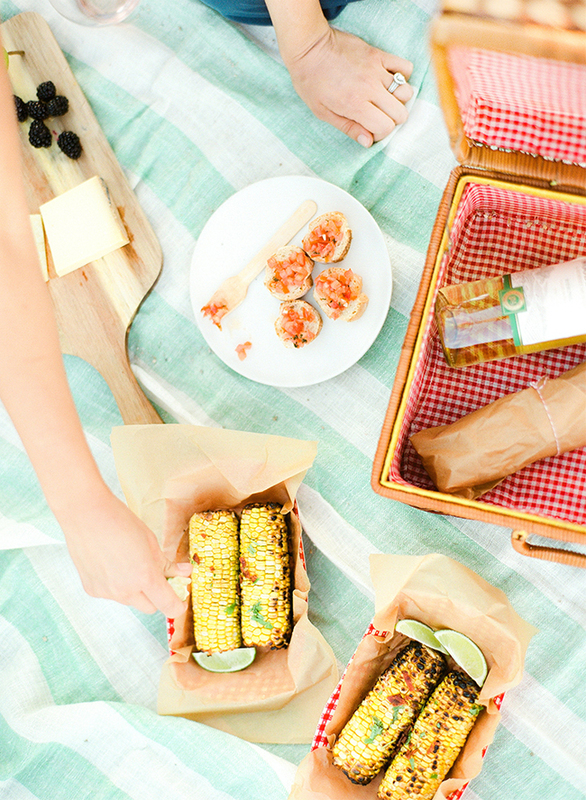 When it comes to the Fourth of July, festive food is a MUST! We love a good BBQ – especially when it comes with a colorful cocktail or refreshing dessert. These Fourth of July recipes – dishes, drinks, and desserts will make your American celebration a home run – and assure all your guests are properly quenched and fed :). Charred chile lime corn?! Yes, please! This recipe was made for a BBQ and will be the perfect side to complement your Fourth of July celebrations. How yummy does this salad look? 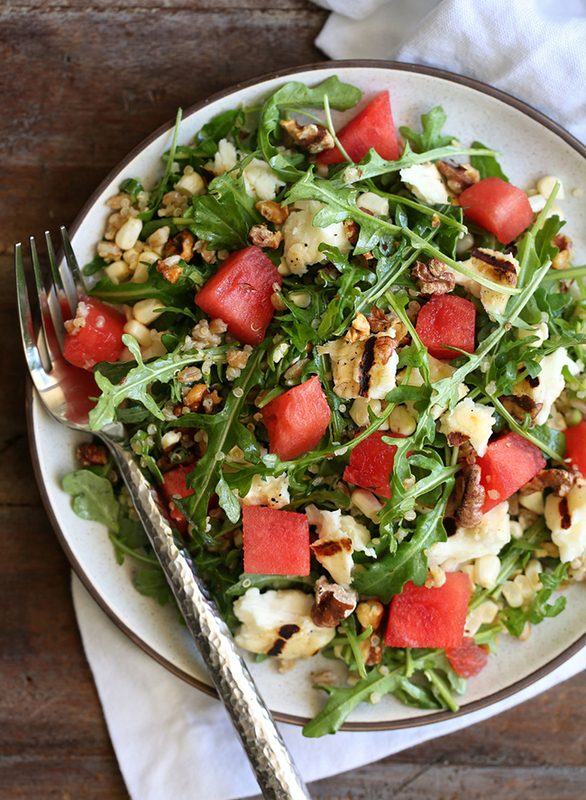 Nothing says the Fourth of July like watermelon and this salad from Cooking with Cocktail Rings takes it up a notch and makes it meal-worthy! 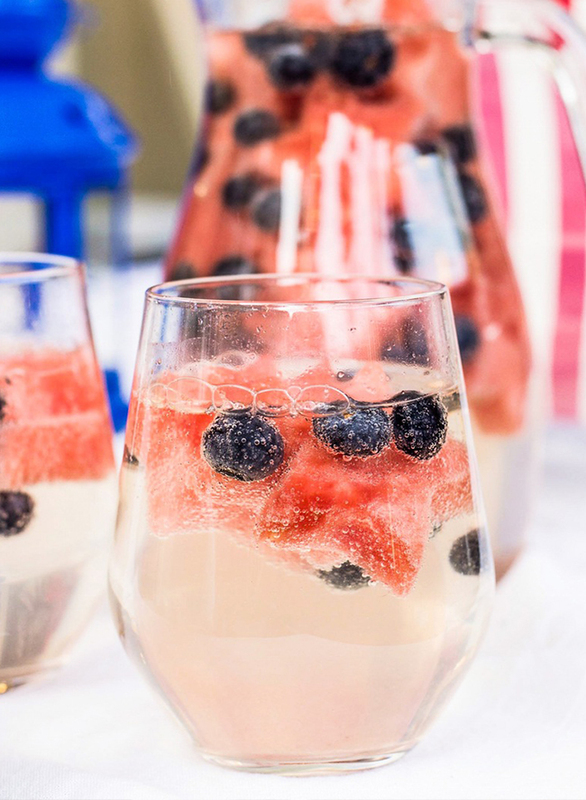 Fittingly enough, this red, white and blue wine spritzer was re-named wine *sparkler* for the Fourth of July. Sip it while watching the Fireworks show for a truly sparkling evening. The Fourth of July is the perfect time to try out infusing water if you haven’t before! 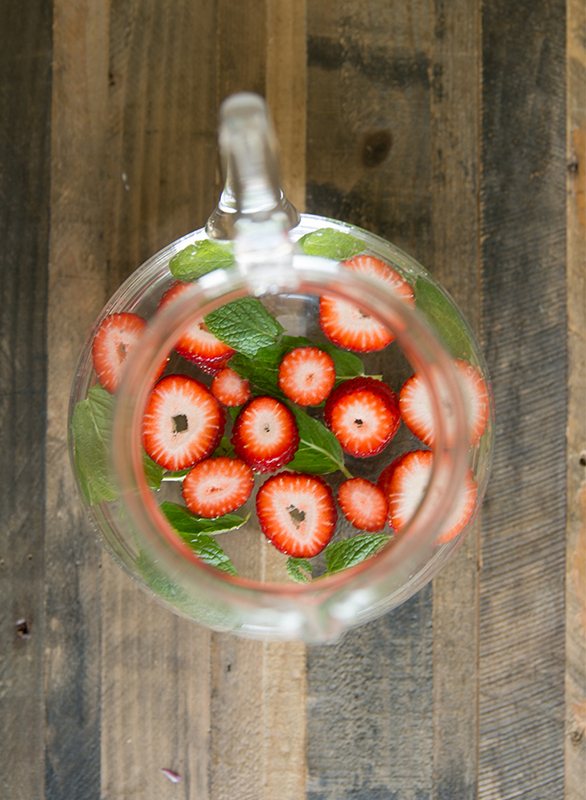 This Strawberry Mint Infused water is crisp and just a tad sweet. 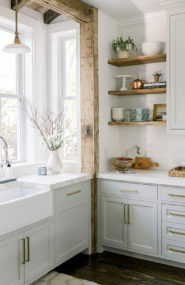 Plus, it fits the color scheme perfectly. 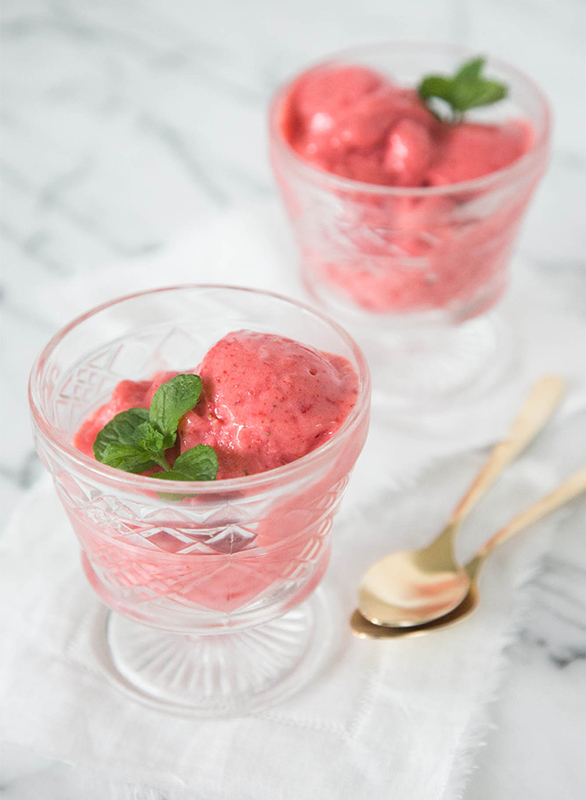 Refreshing, delicious, and guilt-free, this Strawberry Gelato is the perfect dessert to dive into poolside. Another delightfully refreshing dessert? 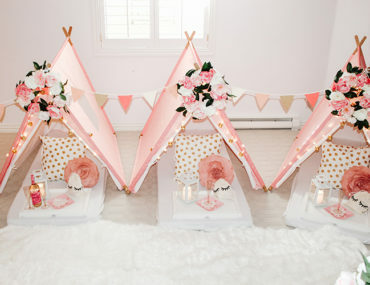 These Strawberry Coconut Milk Pops from Jennie Miremadi! 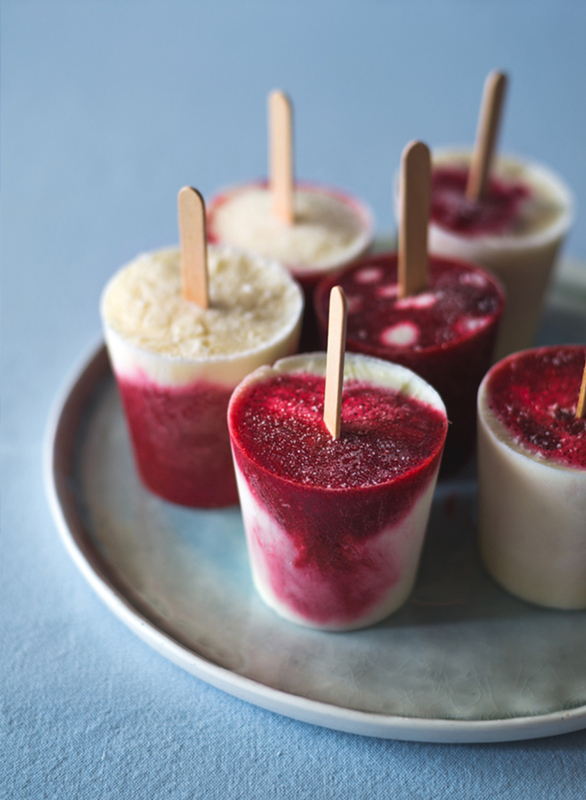 An icy popsicle couldn’t be more perfect for this holiday – we’ll be eating them all day! 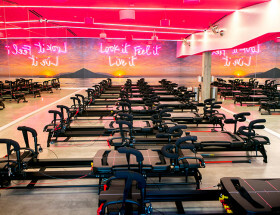 10 Unique Workout Classes in L.A. 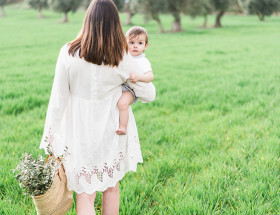 I am drooling over everything! Same here! 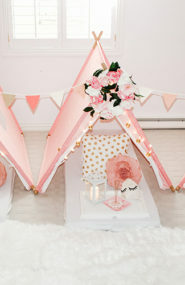 We want to make everything this weekend! Can’t wait to try all of this this weekend! Please do! We love them all! We are definitely not wine-ing about that one! YUmmmm I want those popsicles! 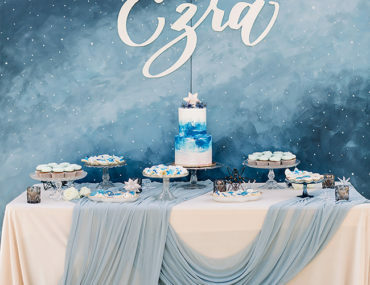 They are ah-mazing! Perfect for a hot summer day!